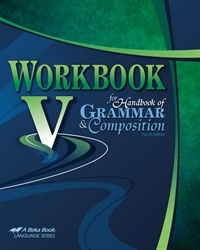 Give your child a concise and consistent grammar review throughout 11th grade with Workbook V for Handbook of Grammar and Composition. These exercises include basic review of capitalization, punctuation, fragments, run-ons, and more plus editing and writing exercises to apply all of the basic grammar concepts. Help your child stay sharp with his subject/verb agreement, pronoun reference, diction, phrases, modifiers, and sentence structure. 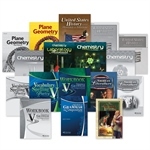 The instructions for each exercise give clear directions as well as a reference to where the grammar rule can be found in the Handbook of Grammar and Composition.